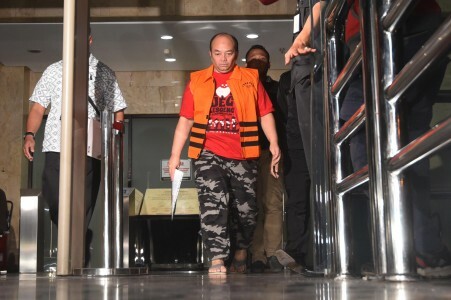 JAKARTA, GRES.NEWS – The Supreme Court acknowledges that Andri Tristiano Sutrisna, its head of civil lawsuits, appeals and judicial reviews, had successfully cheated the court and his arrest has dented the court’s name. Yet, according to M. Syarifuddin, the Supreme Court’s head of supervision, the institution has the Supreme Court Supervisory Body to oversee the performance of all its employees to prevent practices of corruption. Syarifuddin also underscores that the body has tightened the supervision of the handling of cases, including against actions that aim to delay or slow down rulings. "Turns out, there are still gaps that can be exploited and this has become our concern. We are very surprised how such action could work," Syarifuddin said at the Supreme Court’s building, Central Jakarta, Wednesday (17/2). The Supreme Court’s chief of guidance chamber, Takdir Rahmadi, added that the Supreme Court has reformed the way information on cases is being distributed, to be more transparent. The progress of a case in court can now be tracked via Supreme Court’s official website. "The available information includes the developments of cases at court, including the names of the judges, the date the ruling was handed down or whether the case is still in administration phase," Takdir said. SPECIAL TEAM – The Supreme Court claims it is serious to investigate into the case and reveal other people within the institution who may have been involved. Takdir further stated that the court has formed an internal team to carry out the investigations. The team consists of four people, three supervision high-court judges and one secretary. "The team will conduct searches and inspections, and coordinate with the Corruption Eradication Commission (KPK)," said Takir. There is the possibility that Andri did not work alone as the issue of the ruling by the Supreme Court falls outside his authority as head of civil lawsuits, appeals and judicial reviews.